Beets have long been known for their health benefits, especially for their high vitamin C content and immune boosting power. More recent attention has been given to a specific benefit of beetroot juice and that is its ability to lower blood pressure. Various studies have shown that drinking beetroot juice can result in significant reductions in overall blood pressure readings, with systolic blood pressure being most positively affected. In addition to the powerful antioxidants, or cancer-fighting nutrients in beetroot juice, it also contains compounds known as nitrates. Nitrates that occur naturally in foods help to increase blood flow in the body, thus supporting the heart and healthy blood vessels. Because of increased blood flow, many individuals who drink beetroot juice report an increase in energy levels. While eating beets in their whole, natural state can be a healthful addition to any diet, juicing raw beetroot ensures that you are getting the maximum amount of nutrients to assist with blood pressure reduction. Research indicates that 1 to 2 cups of beetroot juice each day is enough to significantly reduce blood pressure. Beets help to detoxify the body, so it is a good idea to start with a lesser amount of beetroot juice to allow the body time to get used to it slowly. Beetroot juice can be a healthy addition to your daily diet. The high carotene levels in the juice can cause both urine and bowels to have a reddish color which is not harmful. 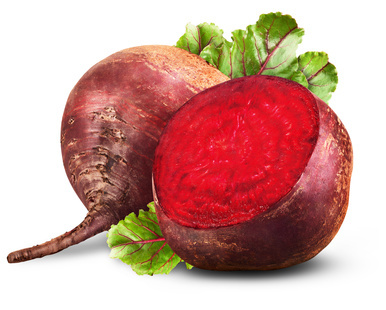 However, beets are also high in another chemical compound known as oxalates. Those with a history of kidney stones will probably want to refrain from beetroot juice as it can contribute to the formation of stones. Because of the positive effects on blood pressure from drinking beetroot juice, if you are taking prescription blood pressure medications, it is important to let your doctor know if you are using this natural remedy as well. It is possible that medication levels may need to be adjusted when also using beetroot juice as part of your healthy living regimen. It is important to point out that maintaining a healthy blood pressure requires a healthy diet from a variety of foods to obtain important nutrients for the body. Additionally, regular exercise and stress management are important for proper blood pressure management. 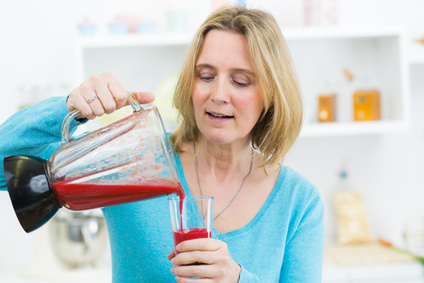 For many individuals, drinking beetroot juice can be an easy, effective way of supporting healthy blood pressure levels, and maintaining overall good health. 170/113 and was shocked to see numbers. I did not want bp med cause of nasty side affects I’ve seen in family so opted for TCM and acupuncture. After 1 hr treatment and some chinese meds Bp came down 150/100 8hrs later. Now 24hrs later 140/96. Aiming for 130/85. Find a good chinese TC doctor and he will find why bp is up then can balance easy. Good luck. Marc. I am a 49 yr old female.Headache/Migraine tonite even after I took an aleve. Husband took BP 140/77. Usually BP 126/68. I guess I should STOP stressing, eating salt, this week too much beef and perhaps Not a lot of exercise since I got Plantar Fascitis with Insertional Achilles Tendinitis. Ouch!